The 1/2" electric impact wrench delivers 300 lbs of torque for faster installations. It features a detent pin for easy attaching and detaching of sockets, and a rocker switch for quick selection of forward and reverse. Included in the box are impact ready sockets. 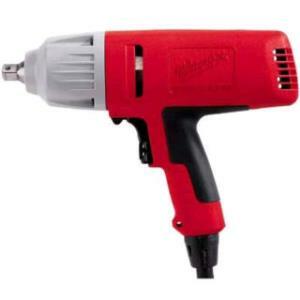 * Please call us for any questions on our impact wrench 1/2 inch electric rentals in Hillsdale and Ridgewood NJ.